PARENT, SIMON-NAPOLÉON, lawyer, politician, and office holder; b. 12 Sept. 1855 in Beauport, Lower Canada, son of Simon-Polycarpe Parent, a farmer, and Lucie Bélanger; m. there 17 Oct. 1877 Clara Gendron, and they had 13 children, of whom four boys and four girls outlived them; d. 7 Sept. 1920 in Montreal and was buried three days later in the Saint-Charles cemetery at Quebec. 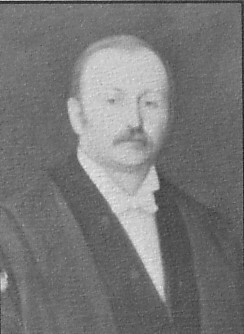 Born into a family of modest means, Simon-Napoléon Parent received a rudimentary education at the local school, and in 1870–71 attended the École Normale Laval at Quebec. He then settled in what was to become the city’s Saint-Sauveur ward, where, according to the family’s account, he opened a small grocery store. However, he longed to move up the social ladder. He devoted his spare time to completing his classical studies. In 1878 he enrolled in the law faculty of the Université Laval and he is said to have been articled to Thomas Chase-Casgrain and Guillaume Amyot*. While pursuing his studies, he still carried on his business. His friend Louis-Arthur Audette would recall later that “his views were always very decided and marked by logical common sense. He was aggressive at times, and in school no one could step on the toes of Poléon (or Pol, as he was often called), and get away with it.” On 13 July 1881 Parent received an lll as well as the Prix Tessier and the Governor General’s Medal. Called to the bar on 9 August, he opened an office in the city on Rue Saint-Vallier. Parent’s academic record had been brilliant, but his natural shyness and weak voice were serious handicaps in his profession. He had difficulty expressing himself in public. This disadvantage he overcame by practising law in partnership, first with Joseph-Évariste Prince in 1882–83, John Constantine O’Donnell from 1884 to 1891, and Charles De Guise in 1895, and then from 1898 to 1905 with Charles Fitzpatrick*, Louis-Alexandre Taschereau*, and Ferdinand Roy, who were joined by Lawrence Arthur Dumoulin Cannon* around 1900. He prepared his cases in great detail and his colleagues argued them in court. Fortuitous circumstances brought Parent to a turning-point. When fire destroyed a third of Saint-Sauveur in 1889, the residents voted in September for annexation to Quebec to ensure they would have better municipal services. By sheer coincidence, Premier Honoré Mercier* made Saint-Sauveur an electoral riding in April 1890, so that the community, which had been divided into two wards, was now looking for aldermen and an mla as well. Parent was elected to the city council for the new ward of Saint-Vallier early in 1890 and declared himself a candidate for the legislature. Competition was keen, since three other Liberals were also seeking the nomination for the election to be held on 17 June. Parent was Mercier’s man. Liberal party leader Wilfrid Laurier, the mp for Quebec East, which included Saint-Sauveur, ruled in his favour, aware that he himself might benefit from the solid electoral organization at Parent’s disposal. Although still only a suburban lawyer, Parent was a popular figure, and won handily. He made his entry into politics on tiptoe, with no fanfare. He had to prove himself. At city hall he sat on the police, by-laws, and ferry committees, which initiated him into the mysteries of municipal politics. In the Legislative Assembly he was just a backbencher with little to say. It was thanks to Laurier that in the 1892 election, following the Baie des Chaleurs Railway scandal, he was the sole candidate still loyal to Mercier to be returned by acclamation. Lacking eloquence in a world where rhetoric reigned, Parent counted on his populist leanings, organizational sense, ability to handle men, and extraordinary capacity for work to make his mark. He kept in close touch with his constituents, with whom he was on familiar terms, he moved in Liberal circles, and he put his electoral machine and immense talent at Laurier’s disposal. The city’s merchants, who admired his dynamism, civic spirit, and practical good sense, came to regard him as the man who could carry out their plans for regional development. Unlike Montreal, Quebec in the period 1850–70 had failed to make the transition from a commercial economy to an industrial one. The business community now sought to stimulate its economy by creating a domestic market and putting the city back into the big commercial networks of the British empire and North America. On 9 March 1894, during the municipal election campaign, L’Électeur summed up that community’s objectives: to promote the Great Northern Railway; to come to an understanding with the Canadian Pacific Railway; to establish a line of steamships providing rapid round-trip service to Great Britain; and to encourage the development of urban streetcars. The merchants intended to use the municipal council as a lever to lift Quebec out of its economic stagnation. On 20 March owners and tenants elected 15 businessmen to the council of 30 who were to represent the city’s ten wards, and the council in turn, on 2 April, chose Parent as mayor over Jules Tessier. On taking office, Parent began a process of rationalizing the municipal administration. He clarified and tightened the procedures governing council meetings, spelled out in detail the mandates of senior city employees, and held successful tenderers to the terms of their contracts. He did not, however, tamper with the accounting system, which in the absence of precise guidelines for distinguishing ordinary receipts from special ones, or for estimating the extent of the debt, gave the mayor a certain leeway in presenting financial reports. His policy was not so much to innovate as to take on the expectations of the business community and projects that his predecessors had not been able to complete. He speeded up the construction of a new city hall on the site of the former Jesuit college which had been bought by the municipality in 1889 during the tenure of François Langelier. He initiated a vigorous policy for city streets and the modernizing of the transportation system [see Andrew Thomson*]. Parent was not a great talker, but he was quick to act. His popularity continued to grow. In the 1896 municipal election 17 aldermen were returned by acclamation. Parent could now implement a bolder policy to beautify Quebec and bring it out of the doldrums. In April 1896 he persuaded the council to approve the purchase of some marshy vacant lots owned by the nuns of the Hôpital Général and turn them into a public park, to be called Victoria in honour of the queen. This project required the construction of two bridges, the Victoria and the Parent, over the Rivière Saint-Charles. In August he undertook to clean up the finances of the municipality, which was one of the most debt-ridden in Canada. Quebec’s overall debt was 8.32 times its annual revenue because of a low mill rate, loopholes in the collection of back taxes, and the existence of many tax-exempt religious and government properties. Rather than tackle the problem head on, Parent took steps to restructure the debt, using Coates, Son and Company of London, England, and Hanson Brothers of Montreal. The Liberal victory under Laurier’s leadership in the summer of 1896 created a political climate favourable to the mayor’s plans for establishing a line of fast steamships and constructing a bridge across the St Lawrence at Quebec. Parent reorganized the Quebec Bridge Company, which had been incorporated in 1887, took over as president, and began lobbying the federal government. It promised to be a tough fight. 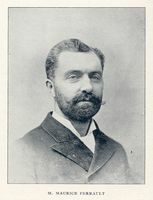 Joseph-Israël Tarte*, the new federal minister of public works, favoured Montreal as terminus for the steamships and on 20 March 1897 Laurier, overwhelmed by all kinds of requests, told a delegation led by Parent that the grant for construction of the proposed bridge would cover only 15 per cent of the cost. The Quebec group went home disappointed, but still as closely attached to Laurier as ever. 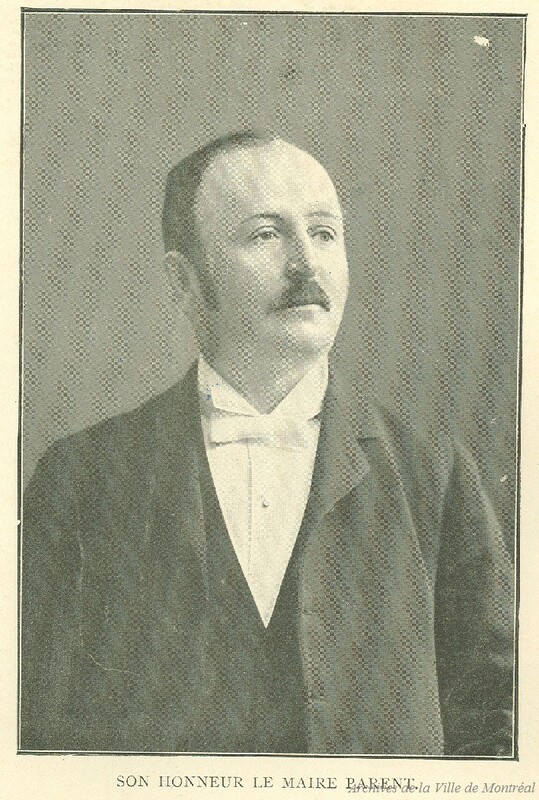 In the provincial election on 11 May city residents voted overwhelmingly for the provincial team of Félix-Gabriel Marchand*, who had Laurier’s open support. Parent was returned in Saint-Sauveur and on 26 May Marchand named him minister of lands, forests, and fisheries. This appointment was not popular with the young Liberals and the militant elements within the party, who found Parent completely lacking in charisma, but it reassured the business community. He was then 41 years old. A jovial man with an inexhaustible fund of stories and enthusiasm for the game of bridge, he had sound judgement but was uncommunicative and very reserved in public. He was more at home in the back rooms than on the platform. 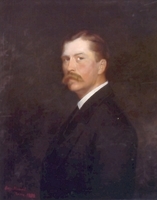 As mayor, president of the Quebec Bridge Company, and a trusted adviser to Laurier, he now controlled the municipal, provincial, and federal patronage in the Quebec City region. Premier Marchand had given him the most profitable department so two election promises could be kept: to balance the province’s budget and to develop natural resources, thereby stimulating agriculture and creating employment. Parent adopted a strategy that was current in political and business circles: the sale of natural resources to Canadian or foreign capitalists, provided the applicants had enough money and expertise to carry out their plans. The heavy demand in the North American market for lumber, pulp, and paper, as well as the spread of the new hydroelectric technology, attracted investors. The Department of Lands, Forests, and Fisheries was flooded with applications. The waterfalls and spruce forests of the Precambrian shield were in particular demand. Parent filled the province’s coffers, but this rapid sell-off of Quebec’s heritage, which did not seem to stimulate agriculture or stem emigration to the United States, began to generate its own opposition. 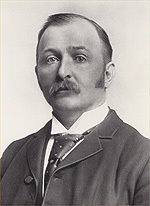 Marchand’s death on 25 Sept. 1900 created a difficult problem of succession. There were many aspirants to the premiership. 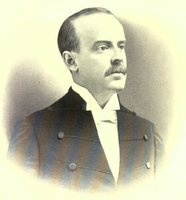 Called on to decide, Laurier ruled out Joseph-Emery Robidoux, the provincial secretary, whom he considered too radical on the subject of public education, and Adélard Turgeon*, the minister of colonization and mines, who although a handsome man and a feisty orator lacked the firm hand essential to a premier. He chose Parent, who had given him his undying loyalty and admiration. Parent would manage provincial matters and patronage, but Laurier would take care of the Quebec government’s relations with the church and the federal administration. On 3 October Parent formed his cabinet. He retained the portfolio of lands, forests, and fisheries, and gave prestigious departments to his rivals: public works to Lomer Gouin*, agriculture to François-Gilbert Miville Dechêne, and colonization and mines to Adélard Turgeon, who also became provincial secretary. His team played an active part in the federal election of 7 November. Then, claiming that he needed to have his mandate as premier endorsed by the people, he called a provincial election for 7 December in order to take advantage of the disarray in the ranks of the Conservatives, who had been shaken by Laurier’s stunning victory. They would win only seven of the 74 provincial ridings. Parent had reached the zenith of his career. He intended to maintain Marchand’s policy of “administrative honesty and circumspection,” as he put it, and run the province as if it were a business. To Turgeon and Gouin, who endured rather than accepted his leadership, he left the tasks of defending his regime on the hustings and purveying flowery rhetoric at official functions. He himself worked like a demon, his mind always filled with some project. Up at five o’clock, he went through dossiers and read the newspapers. He remained in his law office from eight until ten to receive clients, after which his driver took him to city hall to deal with municipal matters. Around noon he was in his office at the legislature where colleagues, supplicants, and lobbyists were waiting for him. He had lunch about two o’clock and then went back to his law firm. Twice a week he attended a city council or committee meeting in the evening. He never deviated from this schedule except when the Legislative Assembly was sitting or when he had to be in Montreal or elsewhere on important business. His style pervaded the substance and progress of work in the house. 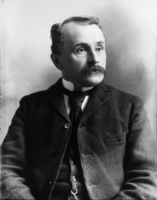 La Presse observed that the 1901 session bore “the imprint of a great practical mind,” and that “the dream of those who wanted to introduce business principles, pure and simple, into our provincial institutions has come true.” Private bills to incorporate companies were the important questions. Some people found this way of managing public business short-sighted, devoid of national vision, and too closely connected to private interests and Laurier’s expectations. It did not take into account the sum total of citizens’ experience: the condition of the working class, the colonization movement, and the awakening of nationalist sentiment in French Canadians confronted with immigration and triumphalist British imperialism. An increase in grants for colonization and the passage in 1901 of the Act respecting councils of conciliation and of arbitration for settling industrial disputes, which provided for such bodies to be set up in labour conflicts, did not lessen opponents’ criticism. At the beginning of the 1902 session Parent had a few serious problems to solve. Maurice Perrault*, the Liberal mla for Chambly, demanded an increase in the federal government’s annual subsidy to the provinces. 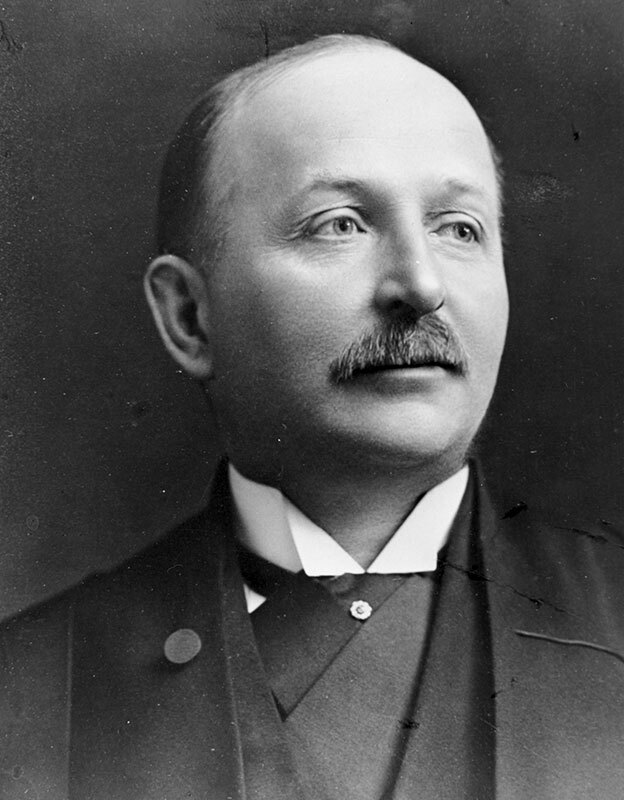 Jules-Alfred Lane, the Liberal mla for Quebec East, moved that the house “go on record as opposed to what is called the new imperialism and its dangerous tendencies.” The business community of Quebec City was putting pressure on the municipal, provincial, and federal governments to aid the Quebec Bridge Company and the proposed Trans-Canada railway, which would link their municipality with western Canada via James Bay and the Lac Saint-Jean region. Finding it difficult to balance his provincial budget in a time of socio-economic changes and not wanting to displease Laurier, Parent tried to salvage the situation. He manœuvred so that Lane withdrew his motion and he convoked an interprovincial conference, to be held at Quebec on 18 December. He sought to create a united front of the provinces which would force the federal government to increase its subsidy and keep it from financially assisting any transcontinental railway unless its route and terminus were on Canadian territory. The provinces concurred on the increase, but Ontario and the western provinces avoided committing themselves on the railway issue. The results of the conference were minimal. Laurier refused to endorse the Trans-Canada proposal but agreed to study the matter of the subsidy. In the spring of 1903 he limited himself to ensuring that the future transcontinental would start out from Moncton, N.B., cross the river at Quebec, and cut through northern Quebec and Ontario towards Winnipeg. This compromise seemed to settle the question of building the Quebec bridge, but it did not make Quebec a terminus or give it a link with James Bay through the Lac Saint-Jean region. The promoters of the Trans-Canada, especially William Price*, criticized Parent for not being firmer. In the autumn of 1903 clouds were gathering on the horizon. Young people in Montreal complained that they never saw the leader. The colonization societies condemned the government’s bias in favour of the lumber merchants. The working class was worried about potential collusion between the government and financial circles. Ambitious people of every stripe began to take advantage of the lack of clear demarcation, in some of the mayor-premier’s administrative measures, between personal and family interests on one hand and the public interest on the other. It was rumoured that, under the burden of extreme fatigue or illness, Parent was considering resigning, and that Henri Bourassa* would take the colonization portfolio in a government headed by Lomer Gouin. There was some basis for the rumour though, perhaps because of Bourassa’s demands, no bargain was concluded. But events were merely postponed. Still popular in his own city and well served by his electoral organization, in February 1904 Parent won another lucky victory in the mayoralty race, but his opponents made a serious attack on his personal integrity in L’Événement. In March Olivar Asselin*’s Le Nationaliste took a stand in fierce opposition to the Parent regime. The Conservatives in L’Événement, Tarte in La Patrie, and the journalists of La Presse stepped up their condemnation of patronage, the lack of a colonization policy, the squandering of Quebec’s heritage at the hands of American capitalists, and the refusal to raise stumpage fees on wood for export and thereby force capitalists to invest in the province. In May Parent made a few concessions. The law on the sale and management of public lands, woods, and forests was amended to introduce a distinction between forest land and land that could be settled, and there were a number of measures to curb speculation in public land. This display did not pacify his opponents, who broadened the debate to include privileges granted to urban transport and hydroelectric companies. “There are almost no battles on principle any more: the legislature has simply become a closed field where the great financial powers clash,” commented journalist Omer Héroux*. Beset on all sides, Laurier postponed his decision on Parent’s departure until after the coming federal election. Laurier was returned to power on 3 Nov. 1904. Parent repeated the scenario of the 1900 campaign. The legislature was dissolved on 4 November, with an election called for 25 November. The Conservatives, who had often challenged the premier during the previous year to go to the polls, were certain they would lose by a landslide, and they claimed this hasty election was a stab in the back, an anti-democratic move to eliminate any formal campaign. The lack of official Conservative candidates paved the way for weakened party discipline among the Liberals. Senator Joseph-Hormidas Legris accused the premier of using his ministerial influence to further his own business interests and of authorizing the unaudited payment of padded accounts submitted by lumber merchants. Philippe-Auguste Choquette*, a Liberal organizer, repeated these charges and elaborated on them. Parent won another huge victory on 25 November. Only five Conservatives were elected, but the return of half a dozen officially anti-Parent Liberal mlas revealed a deep crisis in party ranks. It was not so much the content of Parent’s policies that they questioned as his management style. The absence of a strong parliamentary opposition encouraged this public display of the personal rivalries that inevitably arise within a party. Parent was said to be ready to resign, but could not do so now without demeaning himself. He sued Legris and Choquette, who would never be able to prove their allegations. 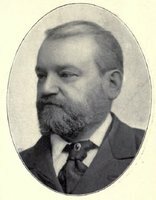 On 3 Feb. 1905 three ambitious ministers, Lomer Gouin, Adélard Turgeon, and William Alexander Weir, resigned from the cabinet to force his hand. Parent stuck to his guns. He shuffled his cabinet. On 8 February 44 mlas demanded his resignation. A compromise had to be negotiated behind the scenes: Parent would leave after a committee of the legislature had cleared him of wrongdoing. Events then moved rapidly. Appointed on 7 March, the committee exonerated Parent and he resigned on 21 March. Gouin became premier. On 31 July Laurier appointed his faithful lieutenant to the chairmanship of the Transcontinental Railway Commission. Parent would have a great deal of travelling to do, and, aware that the opposition was preparing for battle on the municipal field, he tendered his resignation as mayor of Quebec on 5 September, but then agreed to stay on until early January 1906. Filled with nostalgia, though proud of his accomplishments, Parent left Quebec and moved to Ottawa. He bought Baston House at 485 King Edward Avenue, which he transformed into one of the handsomest residences in the city. He brought his characteristic energy and business sense to his new responsibilities. His was a heavy task and one that required tact. He chaired a commission that selected routes, sites, and contractors, approved plans and contracts, and had to account to parliament for its actions. The collapse of the Quebec Bridge on 29 Aug. 1907, which killed more than 75 workers, put a severe strain on Parent. 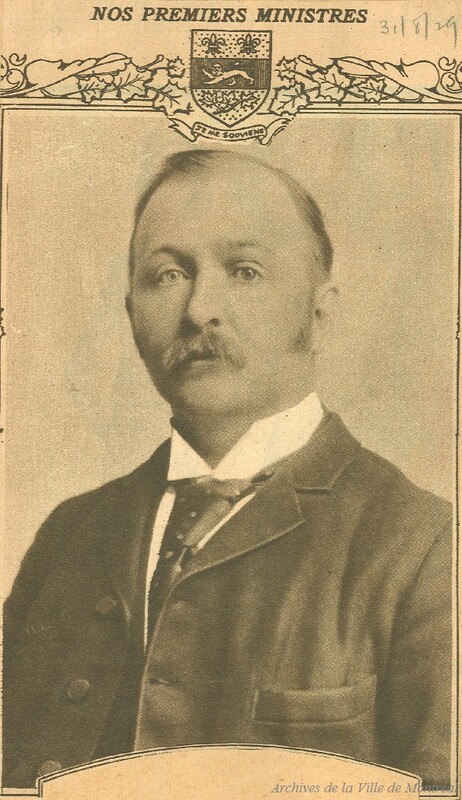 In March 1908 a commission of inquiry exonerated the company of which he was president and placed the blame on errors of judgement by the engineers. Nevertheless, the firm was dissolved and construction of the bridge was turned over to the Department of Railways and Canals. Parent continued to look after the special interests of the Liberal party and the general interests of Quebec City. 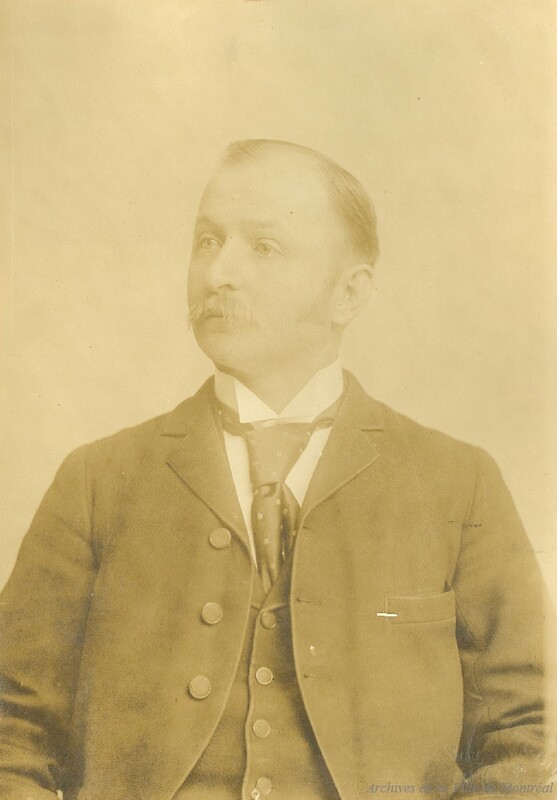 He left Gouin in charge of Le Soleil, a Liberal organ in which he was the chief shareholder, and let Laurier give the political orders; however, it was difficult for him to reconcile all interests when it came to the commission’s choice of sites for hotels, docks, and elevators. His plan to close down the Champlain market at Quebec aroused sharp opposition. 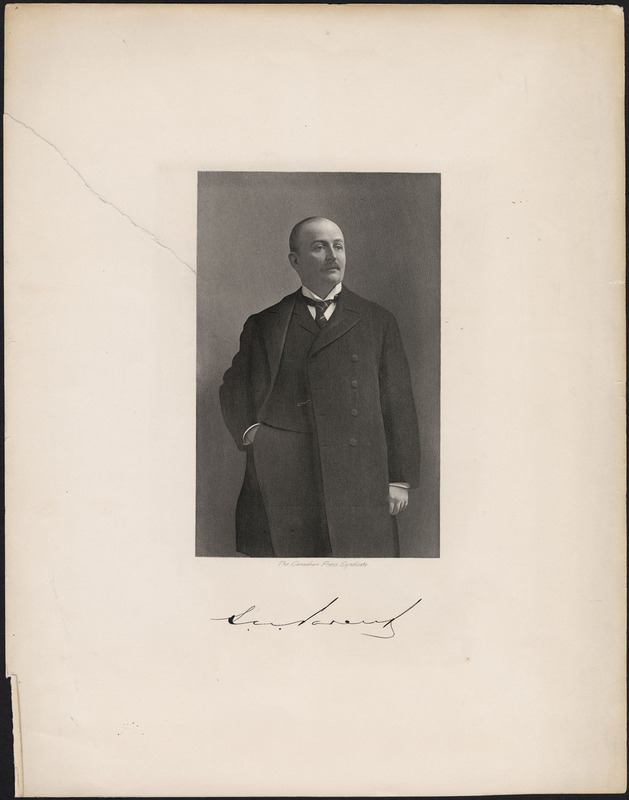 Armand La Vergne*, the Nationaliste mla for Montmagny, denounced Parent’s entourage for expecting to profit from the expropriation of their land or from the sale of other lots at inflated prices. Of necessity, some of Parent’s decisions were politically motivated. On 3 Oct. 1911, following the election of a Conservative government in Ottawa, he had no choice but to hand in his resignation before it was demanded. 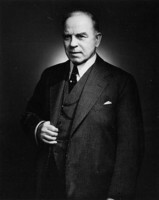 Lomer Gouin, who was still premier and was eager for a reconciliation with Parent in order to present a united front to the Nationalistes, came to his rescue. He offered him the chairmanship of the Quebec Streams Commission, which he had set up in December to satisfy those favouring a municipally or provincially owned hydroelectric system. Unlike the Hydro-Electric Power Commission of Ontario [see Sir James Pliny Whitney], this body did not exploit water resources, but it had a mandate to regulate the flow of rivers. Dams would be built to contain the heavy spring run-offs, ensure regular year-round production of electricity, and facilitate log drives. The position carried a handsome salary of $650 a month, and was well suited to Parent’s tastes and abilities. In 1915, however, Parent began to suffer from heart trouble. He slowed the pace of his activities to some extent and spent the summers at his splendid home in the village of Vaudreuil. 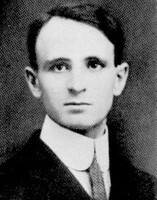 He died at the Hôtel-Dieu in Montreal on 7 Sept. 1920. To his wife he left an income of $6,000 a year for life, and to his children an inheritance of $425,000, mainly invested in real estate, bonds, and stocks. AC, Québec, État civil, Catholiques, Cimetière Saint-Charles (Québec), 10 sept. 1920. ANQ-Q, CE1-5, 17 oct. 1877; CE1-7, 13 sept. 1855; E30/39; M26/2; P-198. Arch. de la Ville de Québec, QP1-4; QP2. ASQ, Journal du séminaire, 4: 440; 5: 283, 300, 346; 6: 2, 8, 10, 11–12, 91; 7: 94, 215. Private arch., S.-G. Parent (Québec), S.-N. Parent, personal papers. Le Courrier du Canada (Québec), 1er oct. 1900. Le Devoir, 7 sept. 1920. L’Électeur (Québec), 9 mars 1894. L’Événement, 2 févr., 1er déc. 1904; 7 sept. 1920. Gazette (Montreal), 8 Sept. 1920. Le Nationaliste (Montréal), 5 juin 1904. La Patrie, 14 févr., 7 sept. 1920; 26 avril 1958. La Presse, 14 févr., 7 sept. 1920. Le Soleil, 2 nov. 1901; 7 avril 1904; 21–22 mars 1905; 4, 7–9 sept. 1920; 15 juin 1977; 3 sept. 1983; 23 juin 1995. Georges Bellerive, Orateurs canadiens-français aux États-Unis; conférences et discours (Québec, 1908). 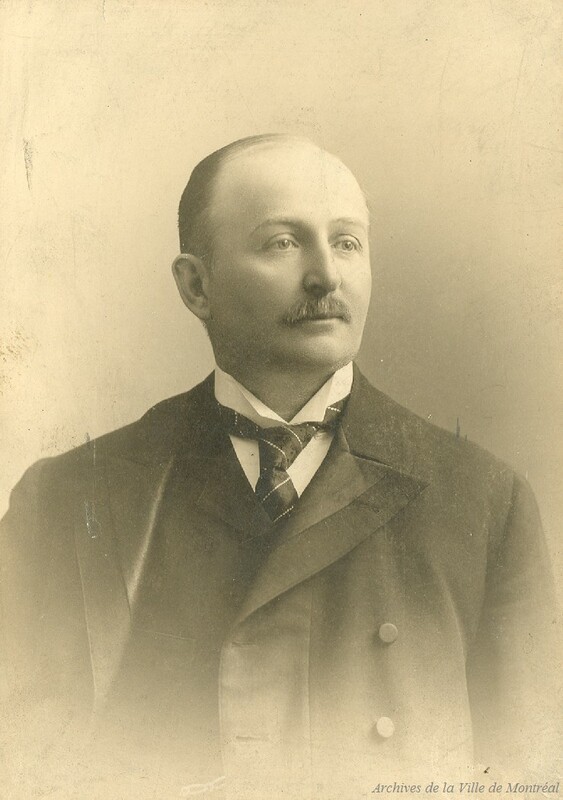 C.-M. Boissonnault, Histoire politique de la province de Québec (1867–1920) (Québec, 1936). Le bottin parlementaire du Québec ([Montréal], 1962), 244–47, 318–19. Can., House of Commons, Select committee appointed to investigate the conditions and guarantees under which the dominion government paid moneys to the Quebec Bridge Company . . . , Report (rev. ed.. Ottawa, 1908); Parl., Sessional papers, 1906–12, reports of the Transcontinental Railway Commission, 1905–11; 1911, report of the Dept. of Railways and Canals, 1909/10; Royal commission, Quebec Bridge inquiry, Report (Ottawa, 1908); Statutes, 1897, c.69; 1903, c.54; 1908, c.59. Canadian men and women of the time (Morgan; 1898 and 1912). F.-X. Chouinard et al., La ville de Québec, histoire municipale (4v., Québec, 1963–83), 4. L.-M. Côté et al., Les maires de la vieille capitale (Québec, 1980). R. M. Coutts, “The railway policy of Sir Wilfrid Laurier: the Grand Trunk Pacific-National Transcontinental” (ma thesis, Univ. of Toronto, 1968). Cyclopædia of Canadian biog. (Rose and Charlesworth), vol.2. Directory, Quebec, 1879–1920. DPQ. Alyne Lebel, “Les propriétés foncières des ursulines et le développement de Québec (1854–1935)” (mémoire de ma, univ. Laval, Québec, 1989). Michel L’Hébreux, Une merveille du monde: le pont de Québec; son historique, sa technique de construction, ses effondrements, ses reconstructions (Sainte-Foy, Qué., 1986). Qué., Assemblée Législative, Débats, 1893–1905; Parl., Doc. de la session, 1916–20, rapports de la Commission des eaux courantes de Québec, 1915–19. P.-G. Roy, Les avocats de la région de Québec. Robert Rumilly, Hist. de la prov. de Québec, vols.6–24; Honoré Mercier et son temps (2v., Montréal, 1975), 2. Benjamin Sulte et al., A history of Quebec, its resources and its people (2v., Montreal, 1908), 2: 613–15. Rosaire Tremblay et Thérèse Dallaire, Ponts du Québec ([Québec, 1975?]). Univ. Laval, Annuaire, 1879–82. 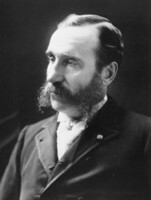 René Vincent, “Simon-Napoléon Parent, maire de Québec 1894–1905, premier ministre de la province 1900–1905,” Concorde (Québec), 10 (1959), nos.4–5: 9–10. Michèle Brassard and Jean Hamelin, “PARENT, SIMON-NAPOLÉON,” in Dictionary of Canadian Biography, vol. 14, University of Toronto/Université Laval, 2003–, accessed April 24, 2019, http://www.biographi.ca/en/bio/parent_simon_napoleon_14E.html.